Although banking may seem simple and straightforward, a savings account is more than just a place to put your money. A savings account is a service that you should shop for carefully before making a selection. During the Great Depression in the 1930s, many people lost their life savings when the banks ran out of money and closed their doors. The reality of being left penniless after years of hard work and saving was enough to drive some Americans to suicide. In order to prevent a return of the days when people saved money under their mattresses — a practice that is unsafe due to the possibility of theft, fire or some other misfortune — the U.S. government created the Federal Deposit Insurance Corporation, which guaranteed savings accounts (up to $250,000 today). Americans felt once again that it was safe to deposit their money in the bank. But in recent years, interest rates on savings accounts have dropped precipitously. In 2010, the rate was 0.2, according to Go Banking Rates, and now it is closer to 0.05. If you save $100 for 30 years at a 0.2 interest rate, you get $6.18; at 0.05, you make $1.51. Certificates of deposit pay slightly higher interest rates — a little over 1 percent — but your money isn’t liquid; you pay a fine if you withdraw it before the agreed-upon date. So where should you put your money? It’s important to have savings, and you should have some in a place where access is easy and free, in case of emergency. When you’re shopping for a good deal on a savings account, keep a few caveats in mind. Larger banks generally pay lower interest rates than smaller banks or credit unions. Credit unions are like co-ops, so profits are returned to the members instead of funneled into the pockets of bankers. Barron’s recommends looking into local credit unions. Some have membership requirements, but Barron’s says it is likely you can find one you qualify for. It’s true that credit unions don’t have as many branches, but with careful planning and the ability to manage your accounts online, this should not be a serious hardship. Smaller banks and credit unions are less likely to charge hefty fees for simple electronic transactions like balance transfers. Smaller banks don’t feel the same pressure as the big powerhouses to generate huge profits, so they are often able to keep fees lower, the New York Times said. Many banks’ fees are difficult to discover, and some are not disclosed on their websites. U.S. News and World Report advise consumers to carefully review a bank’s fee structure before considering opening an account, but also ask them directly about fees to avoid any nasty surprises. Dormancy fees, in particular, can be especially vexing. Whereas account holders are often charged fees for withdrawing money, using a teller or otherwise managing their accounts, many banks charge dormancy fees for not using your account. If your account is inactive for as little as six months, you may be assessed a fee. When you’re shopping for a savings account and you find one with a comparatively high rate, beware, says a CBS News report. Some of these accounts offer high-interest rates, but when you read the fine print, you may find out it’s only for a period of time — three months, six months maybe. Then it’s back to a low rate. This is similar to what credit cards are able to do — offer a favorable “introductory interest rate,” then jack it up in a month or two to an unreasonable level. 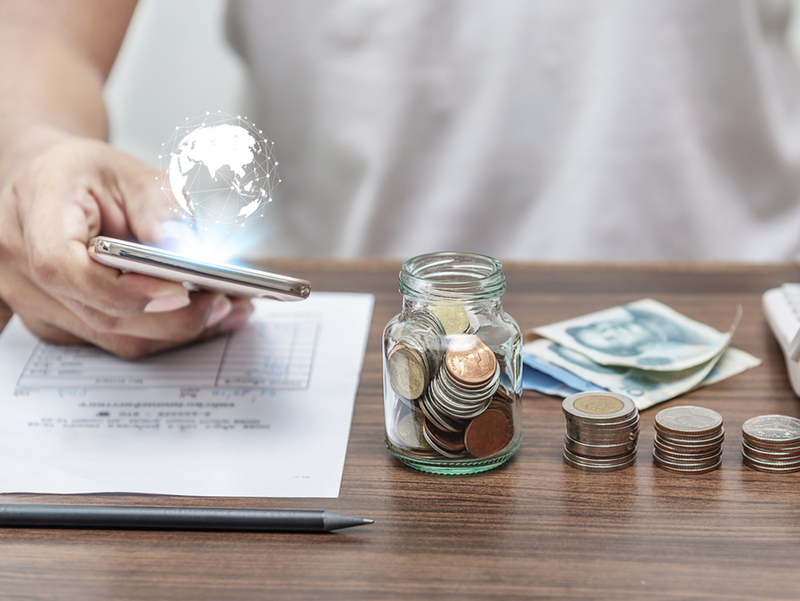 Another trick of the trade is to require customers to open other accounts, such as a checking account, in order to keep the high-interest rate on the saving accounts. Some have even further requirements, such as direct depositing your paycheck. Failure to meet all the requirements means your interest rate plummets. Online banks often pay higher interest rates on savings accounts. Investopedia advises consumers to consider online banks. These have no physical branches, but often pay interest rates of 1 percent or more on savings accounts. They also often have fewer fees and fewer requirements, such as a minimum balance. These banks are able to save money on costs like overhead and labor, and they can pass these savings on to you. But if not being able to use a brick-and-mortar site to make deposits or conduct other business is a drawback for you, the extra interest may not be worth it. A recent Forbes article recommends seven banks where interest rates are more favorable. The article lists a number of terms and conditions each institution dictates in order to receive the highest rate. If you want to open a checking account, savings account or retirement account, it’s a good idea to do some homework first to make sure you’re getting the best deal. Every Buck Counts is here to help you get richer every day, one step at a time. Sign up for our newsletter now! Is A CD the Best Savings Account For You? Your Last Check Bounced – Now What?